I woke up yesterday morning and my brain was bursting with ideas to organize this house. Nesting? I’m not sure. Clutter and disorganization zaps my energy and mood. My kitchen has been 75% primed since April (started to prep for painting & then, surprise, pregnant!). The “nursery” is a disaster area where all things without a designated place have ended up. In truth, we need to schedule some projects on the calendar or they will never get done. 1. Paint the trim in kitchen, living room and hallway. 2. Prime & paint the walls in kitchen, living room and hallway (and, possibly, nursery). 4. 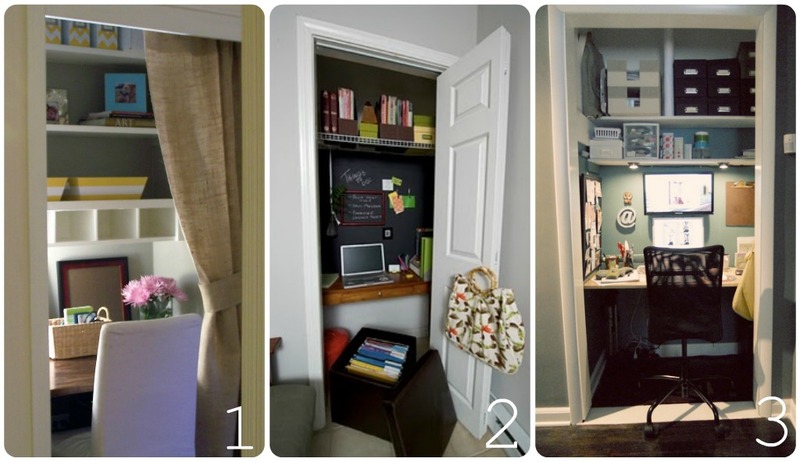 Turn hallway linen closet into a cloffice (office + closet). See examples below. 5. Add storage to bathroom for towels and linens. 6. 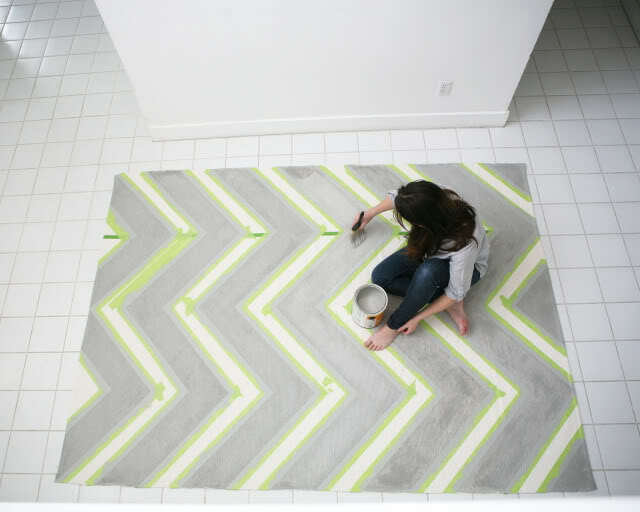 Chevron-up our IKEA rug. 7. Hem and de-tab IKEA curtains in living room. 8. Based on the results of Thursday’s ultrasound, start planning nursery (crib, dresser & wall mirror already owned). Whew, that is an overwhelming list. On top of it all, I’m doing a garage sale with my mom next weekend hoping to get rid of some unnecessary items in our house.